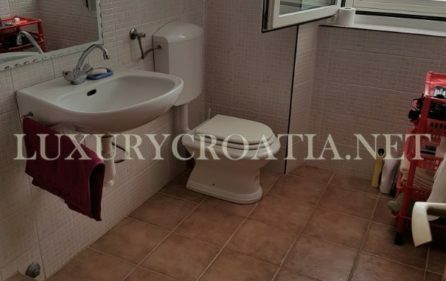 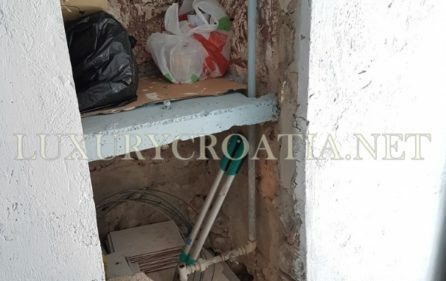 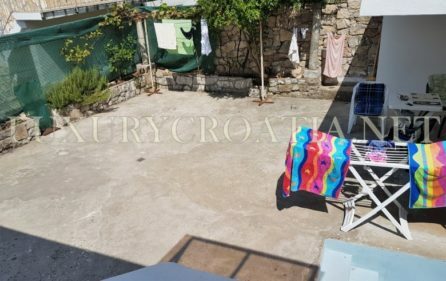 This renovated a stone house for sale, old town Trpanj Peljesac is very close to the beach, about 200 meters. 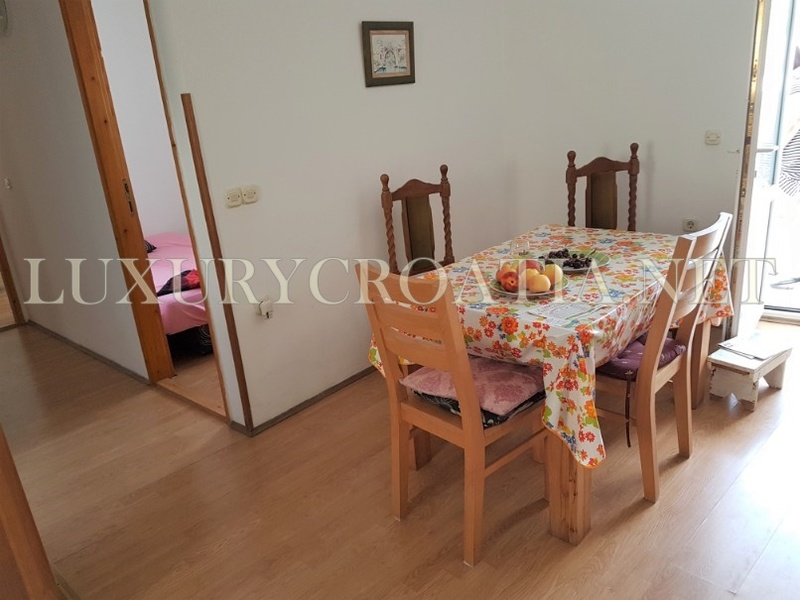 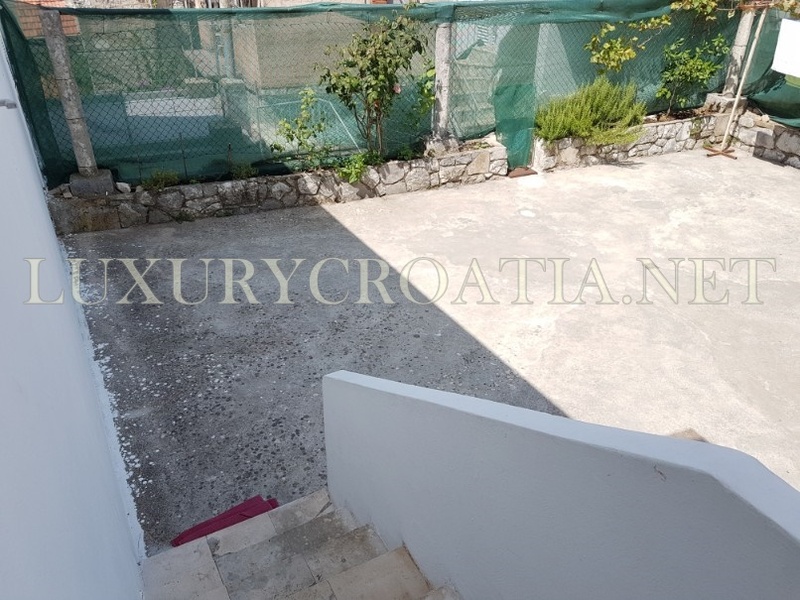 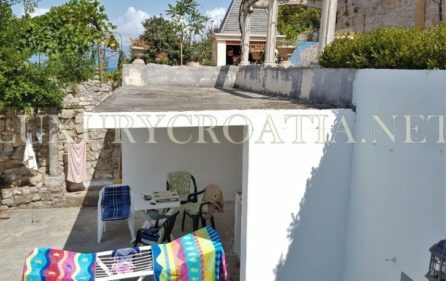 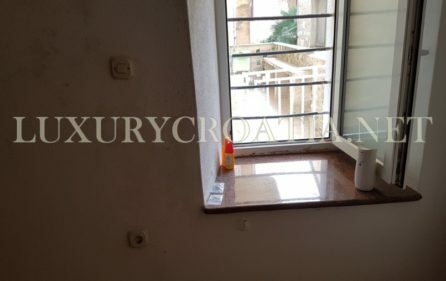 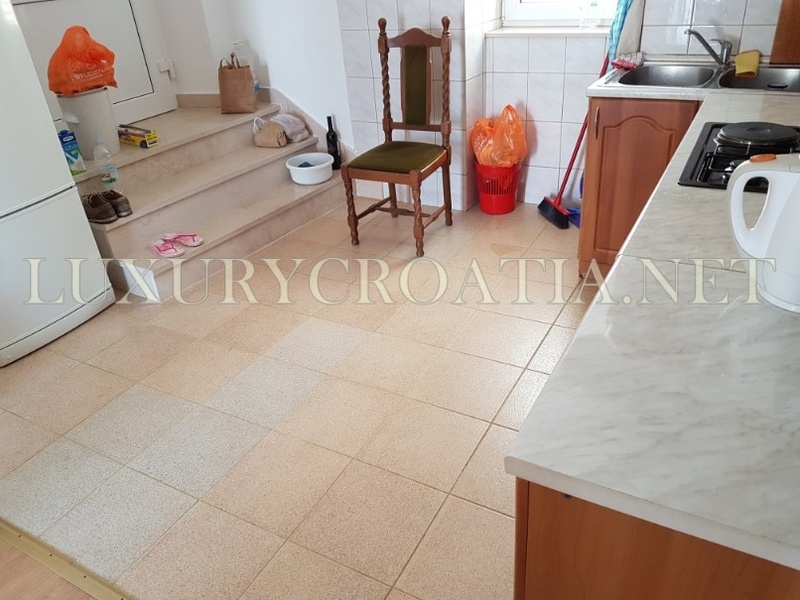 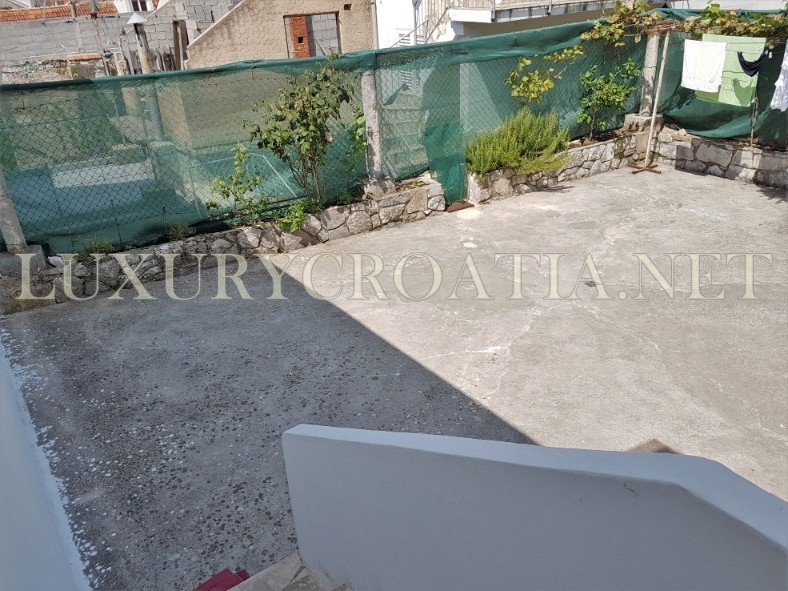 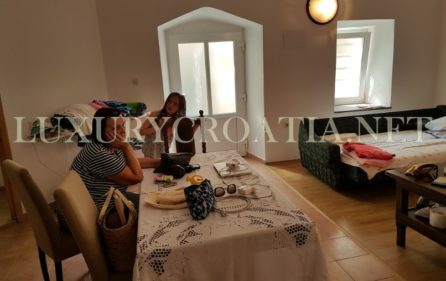 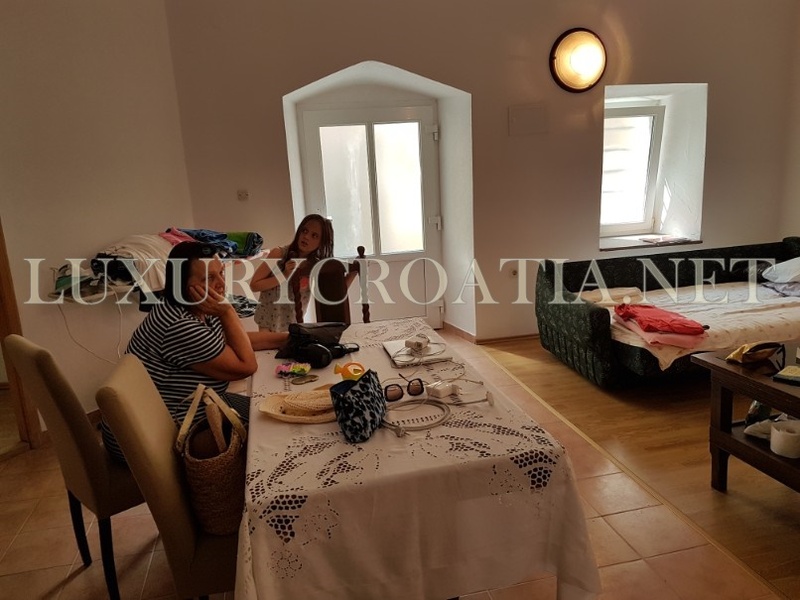 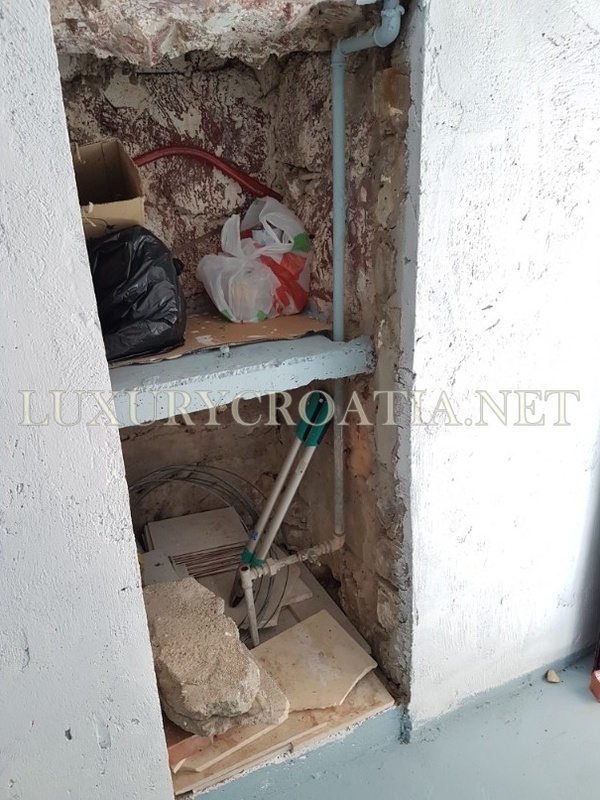 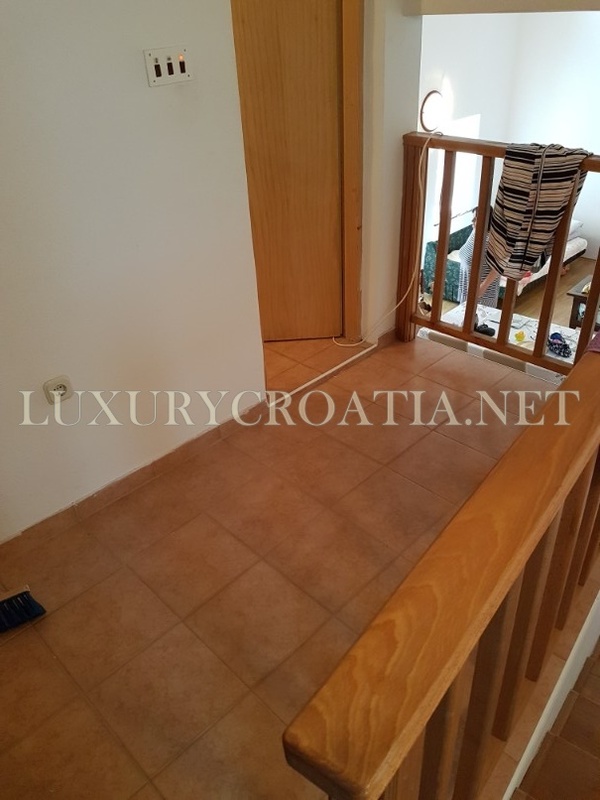 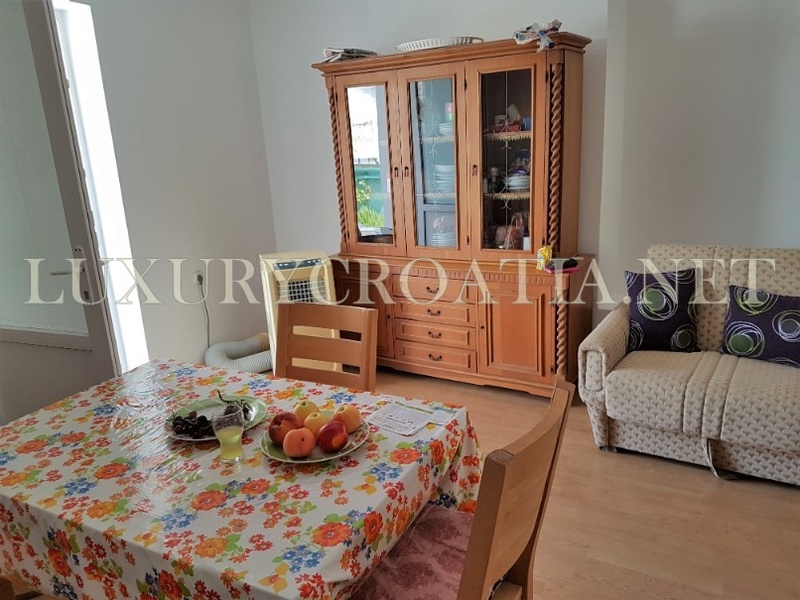 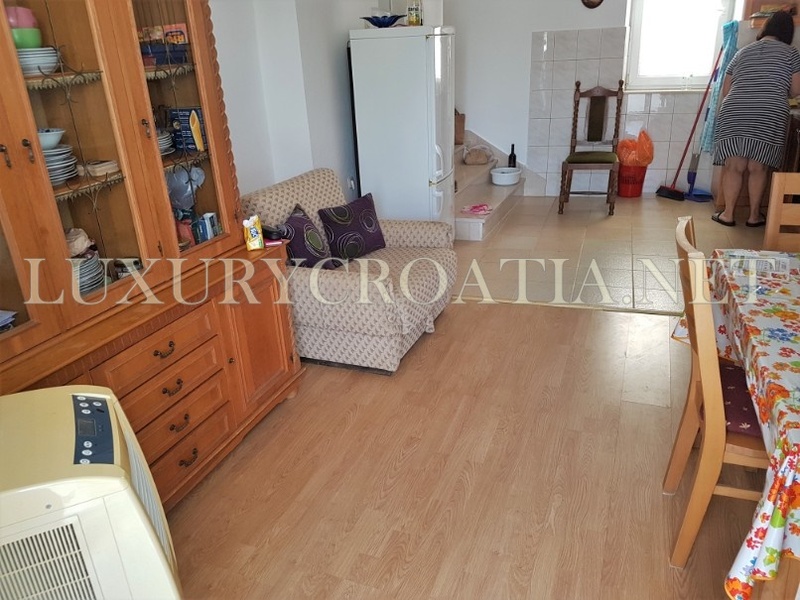 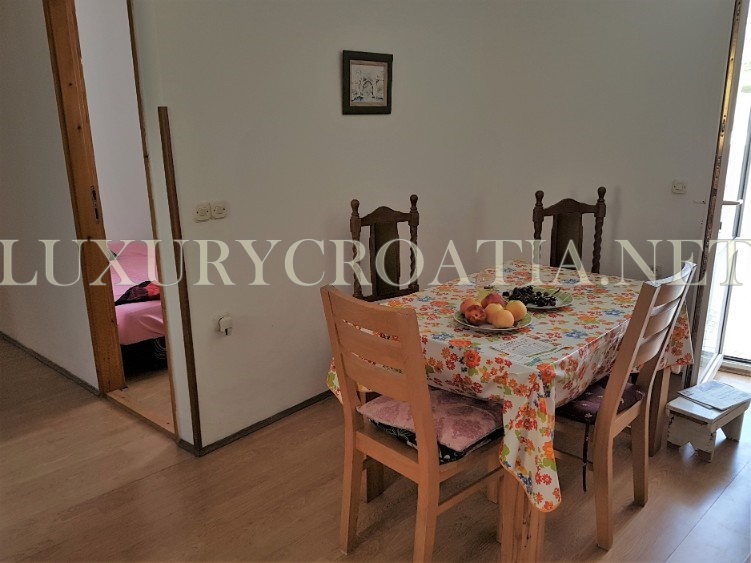 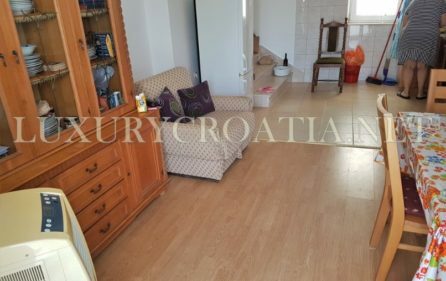 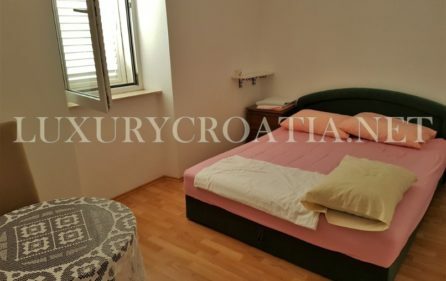 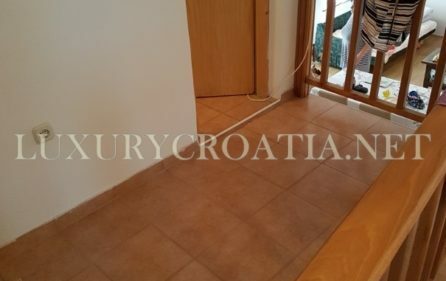 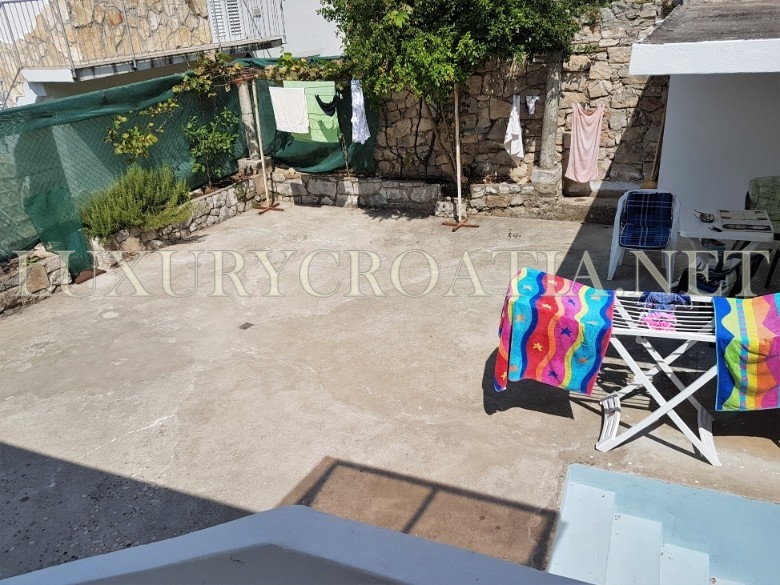 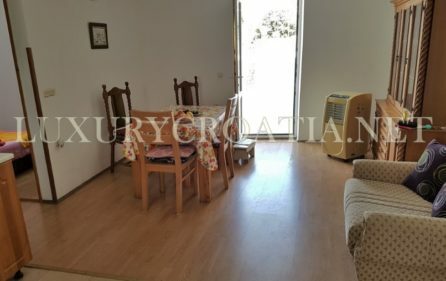 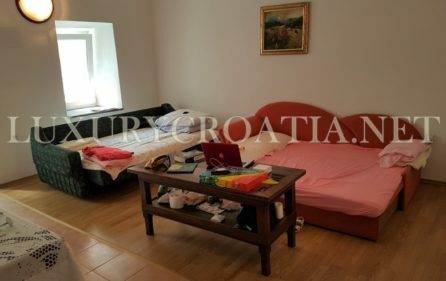 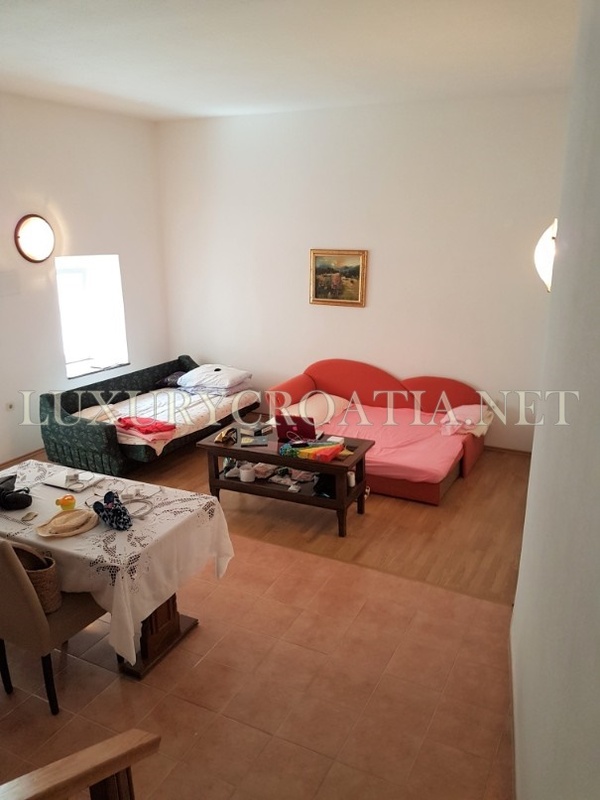 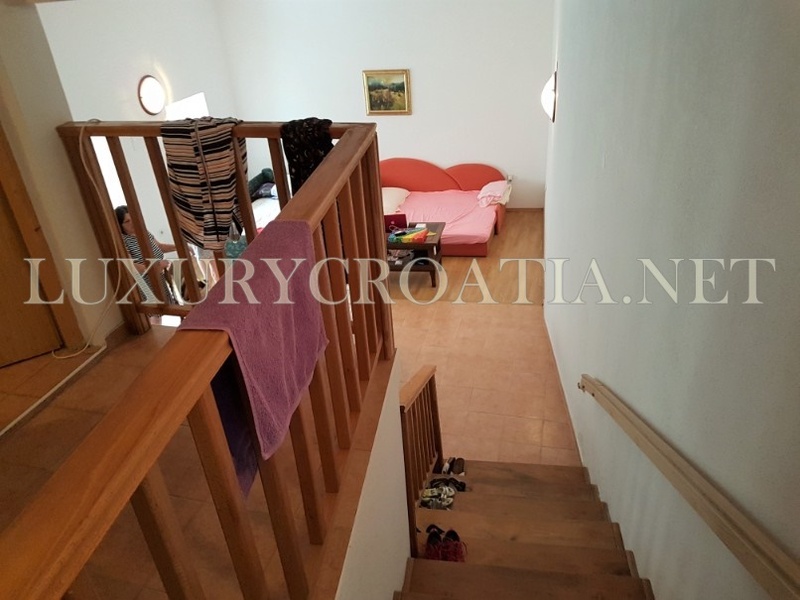 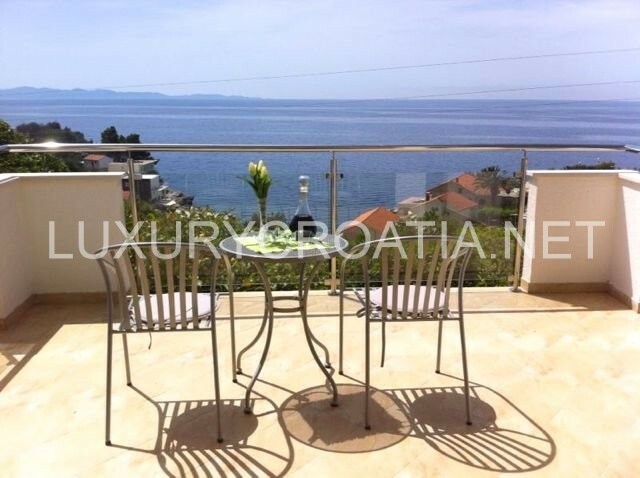 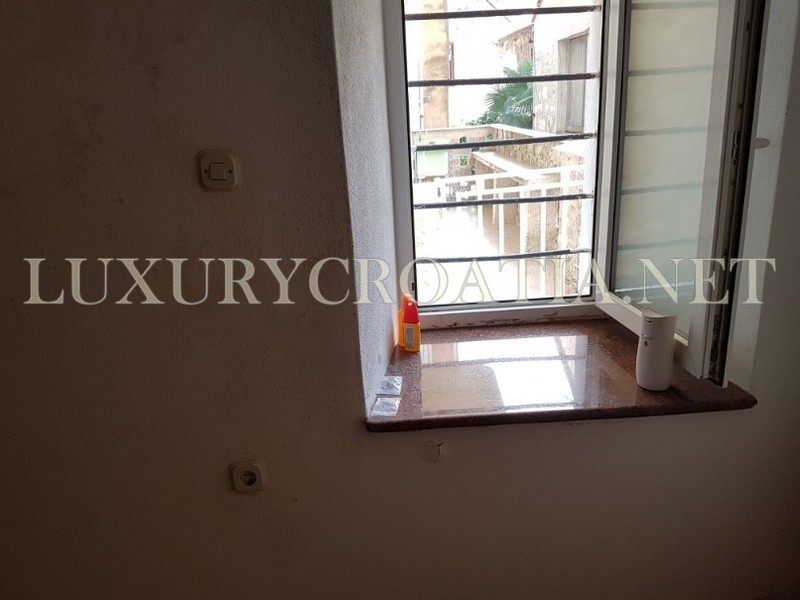 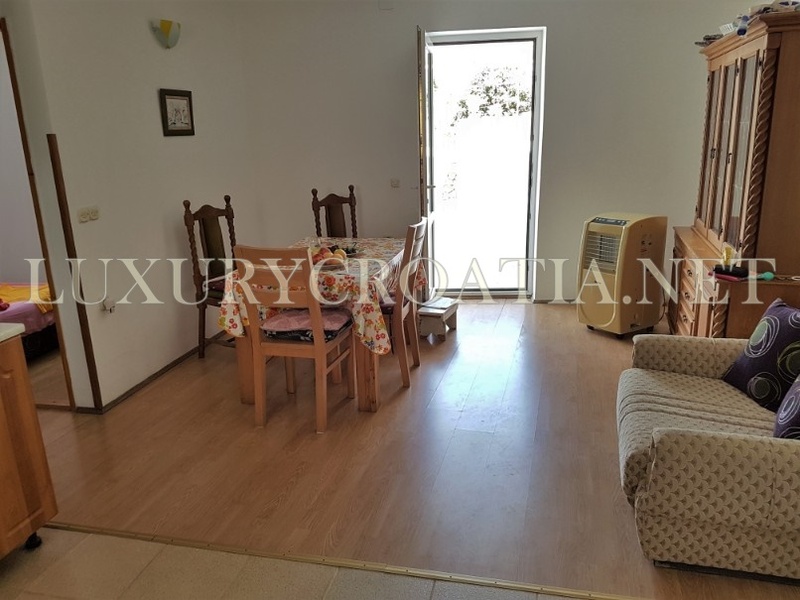 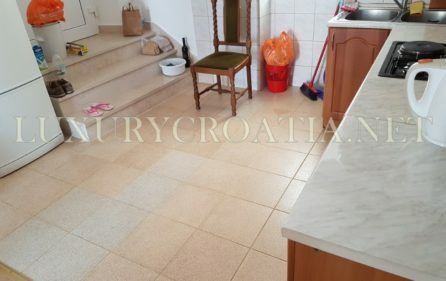 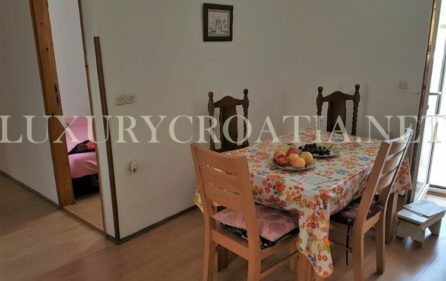 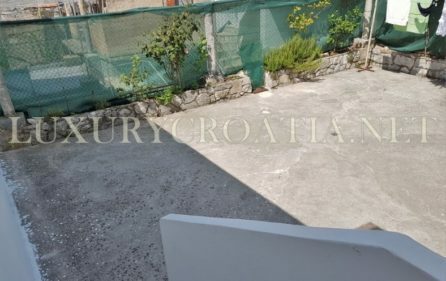 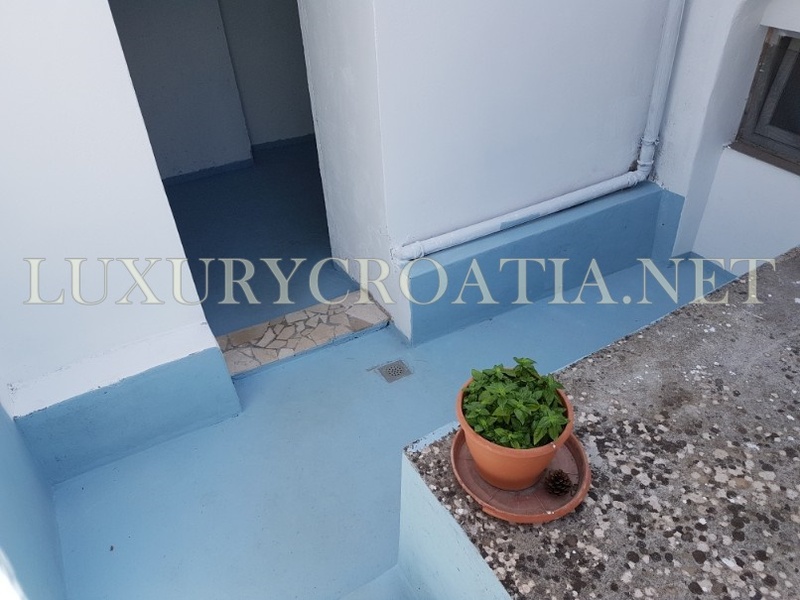 Located in the very center of the old town of Trpanj, on Peljesac peninsula, this house has its own courtyard that is actually large terrace to enjoy pleasant day time or evenings. 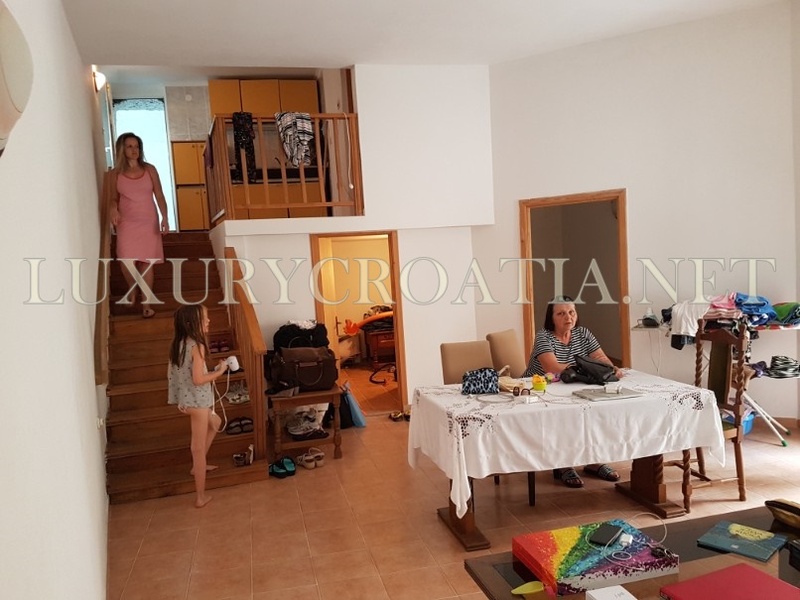 House is divided into two apartments, each has a separate entrance from the street, but also are connected with the central hallway which is kind of lobby area that can be used as a common area for both apartments or can be reorganized to belong only to a larger apartment. 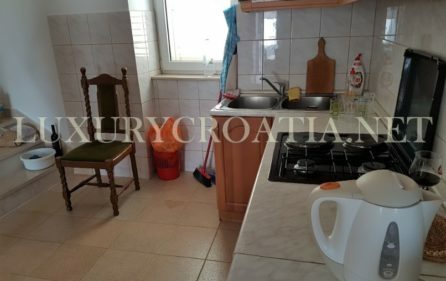 Smaller apartment has two levels, upper level where is a kitchen at the gallery level, with bathroom next to the kitchen. 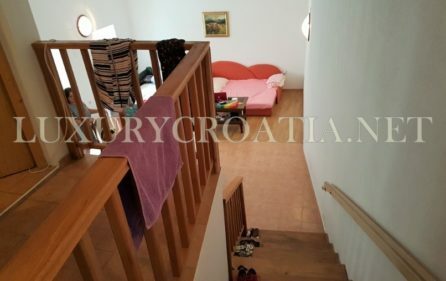 From kitchen level, there are stairs to go down to the living room level from where there is an entrance to this apartment. 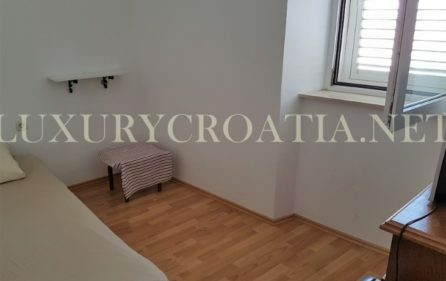 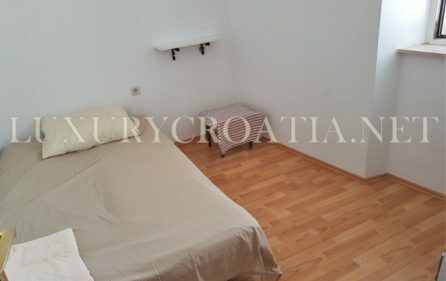 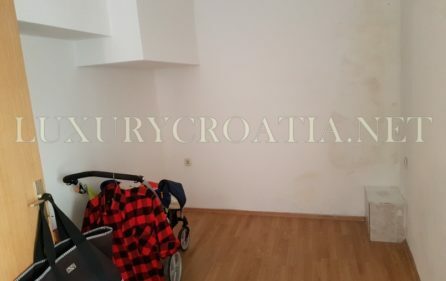 On the living room level, there is a separate bedroom (now is empty because the owner does not need this space so it has no furniture) and storage room. 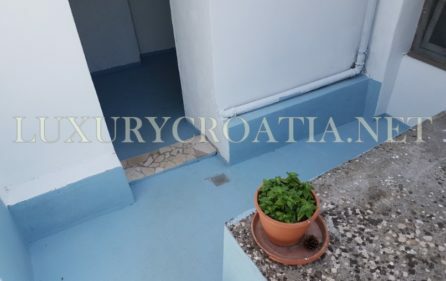 Larger apartment is on a higher level and has its own entrance from the street (cascading street). 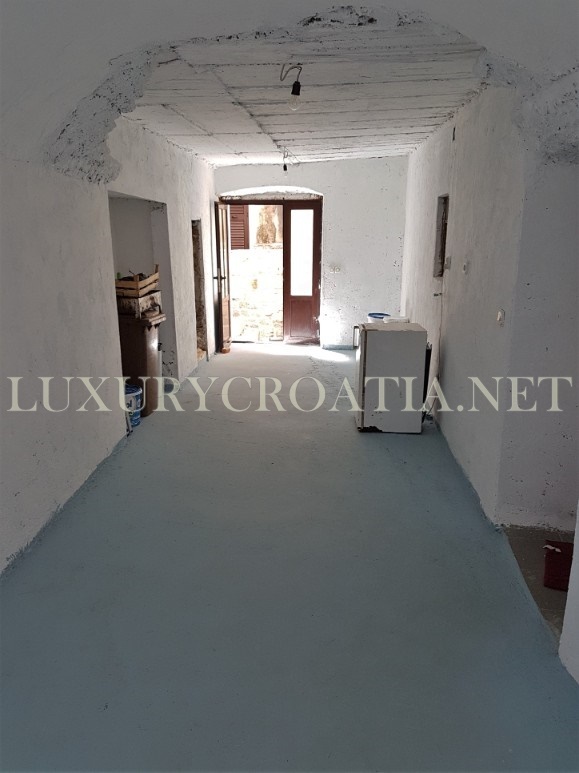 Through the large and long and spacious hallway with a curved stone ceiling, there is access directly to the large courtyard which has about 50 m2. 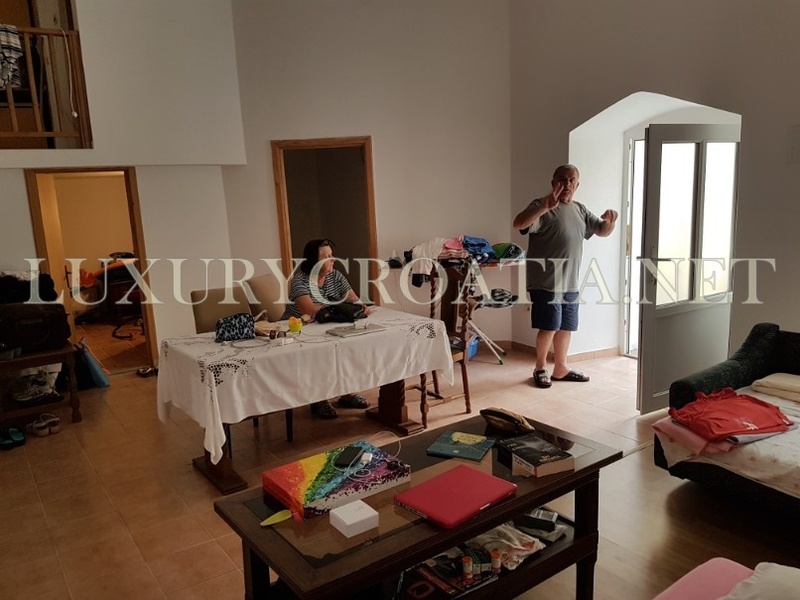 On the courtyard, there is an entrance to this larger apartment which consists of an open plan kitchen with dining and living area and 3 bedrooms. 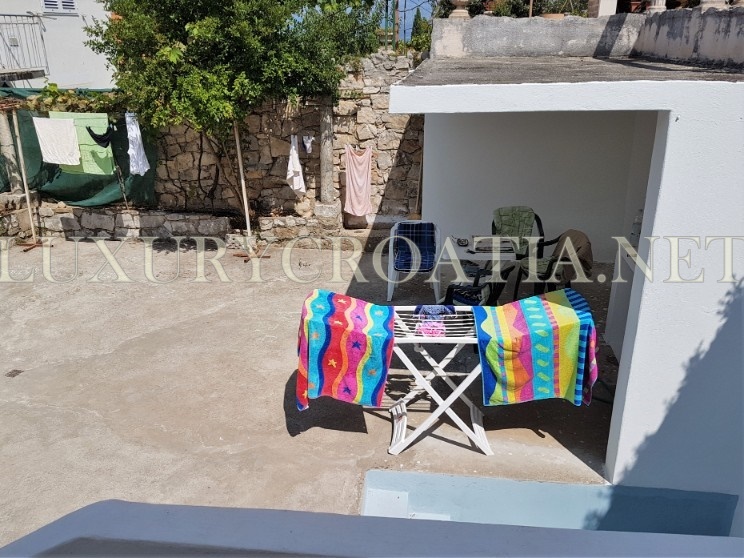 One of the bedrooms looks on the street and two bedrooms look in the courtyard which is very quiet though surrounded by other old stone houses. 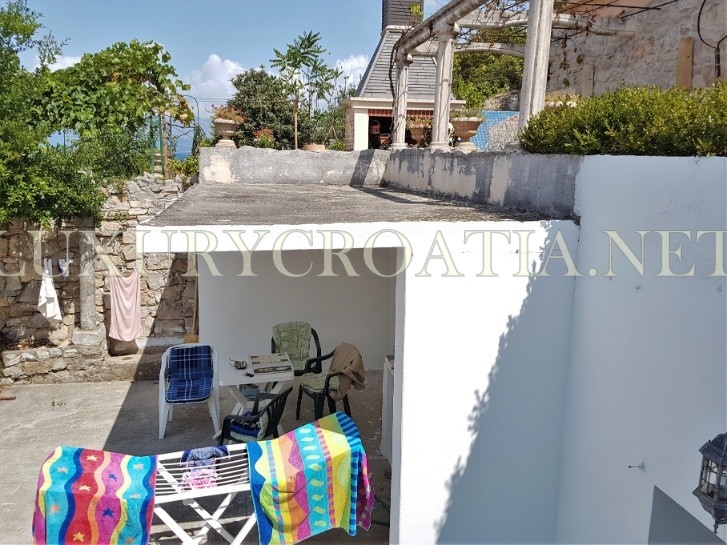 Trpanj is a coastal village with ferry port. 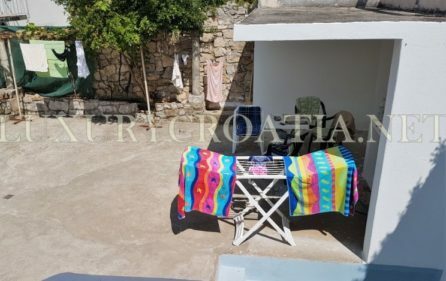 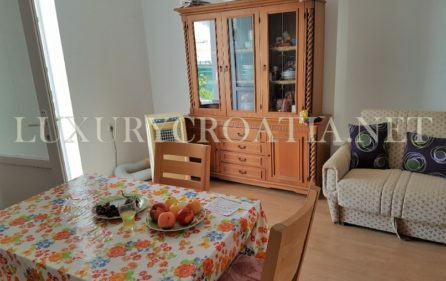 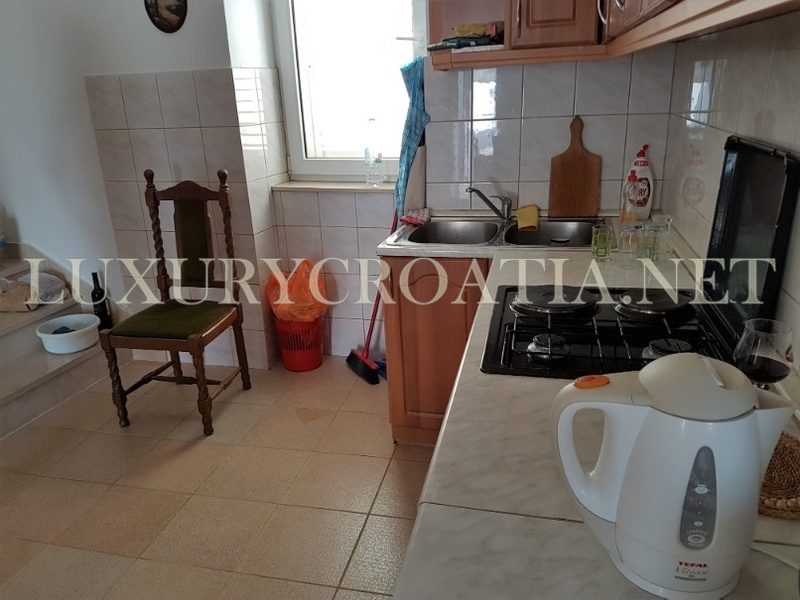 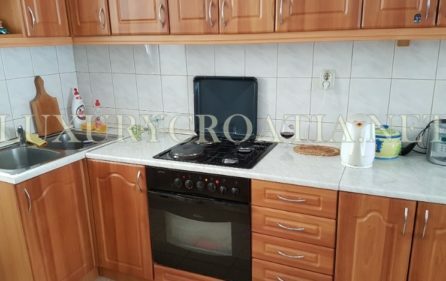 House is in the center of the old part of the Trpanj so all is walk distance from this house, cafe, restaurant and supermarket, and ferry port. 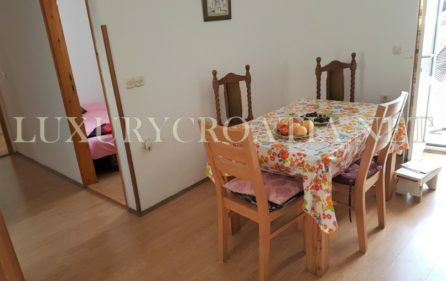 In Trpanj people live all year so the house is suitable for all year living as well as for tourist rental business. 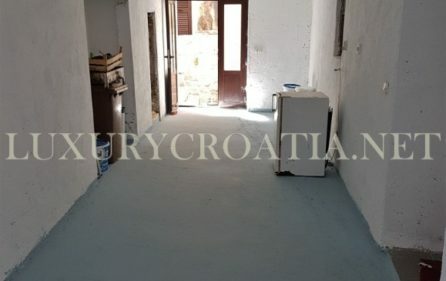 House has totaled about 130 m2 of living space and courtyard of 50 m2. 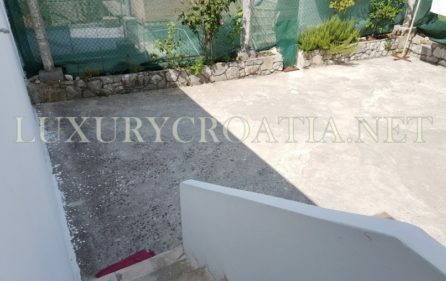 Public parking is 50 meters away and always enough space to park, even in the summer months. 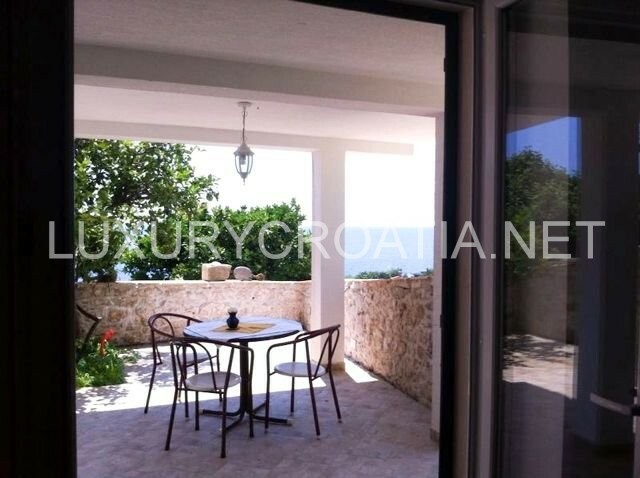 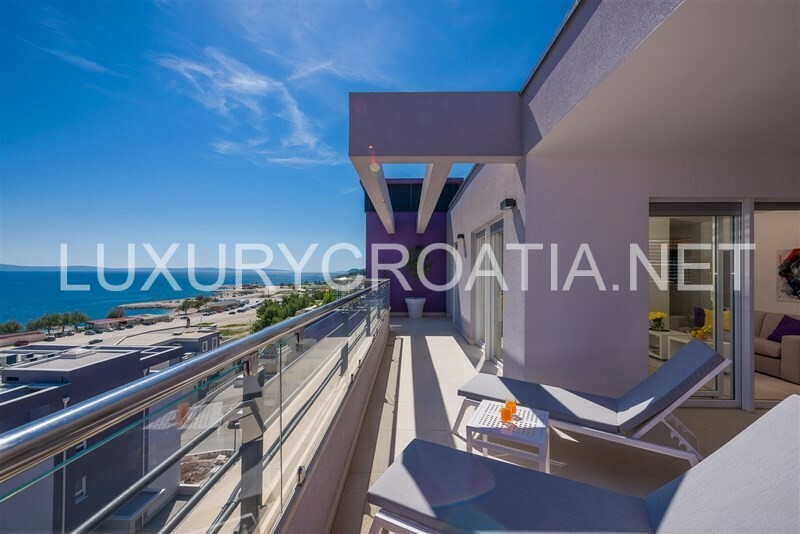 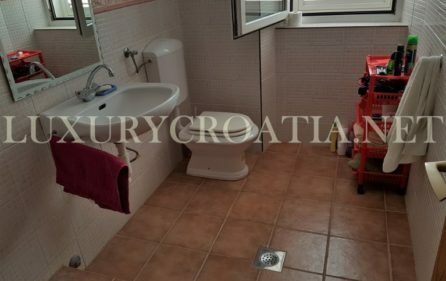 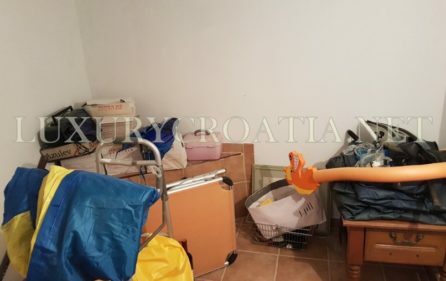 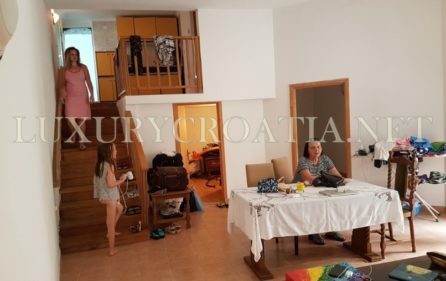 If you want to know more about buying procedure in Croatia click here: Buying property in Croatia – cost and fees.